Turn-key and move-in ready! Enjoy multiple upgrades in this lovely home. Coveted open floorplan, dbl stairs/reno kit w/new wall oven/micro/granite countertops/backsplash/dbl pantries/fresh int paint/hardiplank siding/30yr architectural shingles/gutter guards/expanded fp mantle/new carpet/updated master ba/expanded shower+custom closet/lovely hardwood flrs. New driveway/walkway. Lg garage w/shelving. Wonderful ext. deck. Full/stubbed unfin basement. Great/Swim/tennis community, A++ schools/location for everyday living! 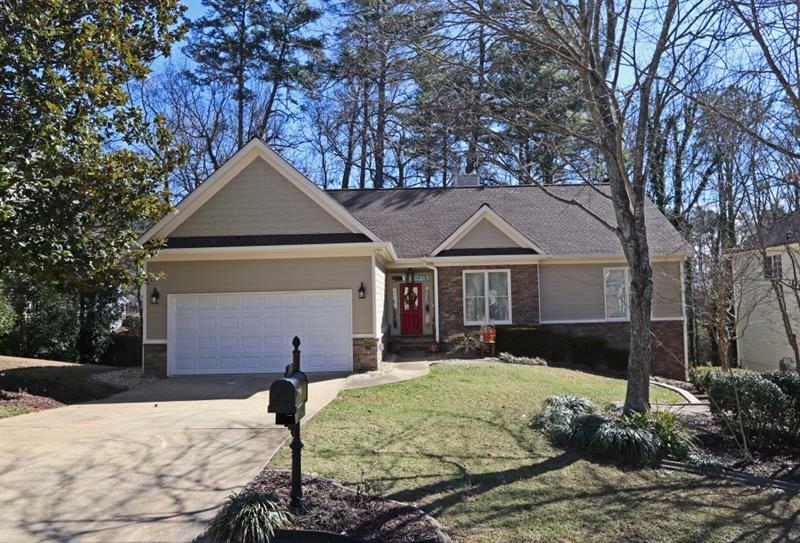 11815 Windcreek Overlook, Alpharetta, GA 30005 (MLS# 5994258) is a single family attached property with 4 bedrooms and 2.00 bathrooms. 11815 Windcreek Overlook is listed for sale at $382,500.00. To view more Atlanta real estate and local neighborhood information, contact Mary Wynkoop, or visit ColdwellBankerHomes.com.